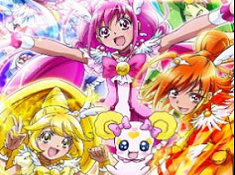 The newest game with Glitter Force girls as you know as Pretty Cure is here on Cute-Games.com and we are trying to offer you the newest games with Glitter Force just here on the most loved website with online games. 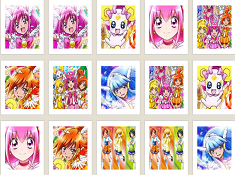 First I would like to talk a little bit about this cute game, as you can see it we have to put our brain to work because we have to make some points in this game, you can obtain these bonus points just if you crush these objects that are illustrated by Glitter Force characters: Emily / Miyuki Hoshizora, Kelsey / Akane Hino, Lily / Yayoi Kise, April / Nao Midorikawa, Chloe / Reika Aoki, Candy. I hope that you can make these movements as fast and as good as you can because just in this way you can help our super heroines to became the most popular girls from Earth. As much diamonds as you crush you will earn points that will help our friends to finish on the first place this cute game. 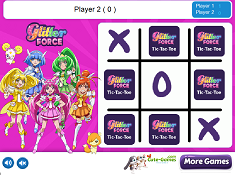 use the mouse to make play this game with our friends from Glitter Force. 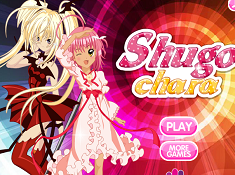 I think this game is really great, especially with the girls' faces. I like it a bunch and watch the show on Netflix!